Jamie came through the youth system at Tannadice. He was recognised at schools, youth and Under-21 level for Scotland and won a 'B' cap. Jamie was a first team squad member for three years but in July 2003, he joined Ross County along with David Winters, whilst Tony Bullock moved in the opposite direction. There was a real pivotal moment in the league campaign in this game. 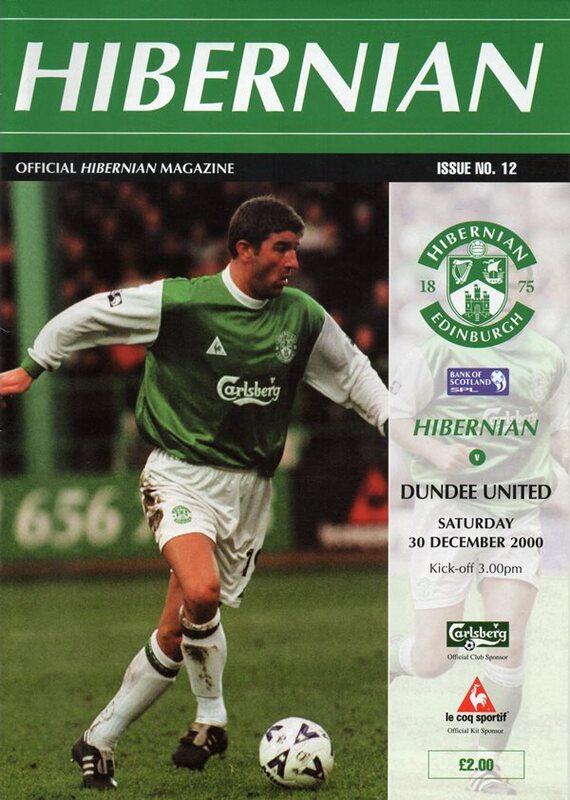 The lost point was the result of a 97th minute penalty decision, and a highly contentious one at that, awarded by Referee Freeland, that emanated from a corner that had previously emanated from a Hibernian player not returning the ball to United, that throw in itself previously the result of Alan Combe kicking the ball into touch to allow the injured Jim Lauchlan to receive treatment, then perhaps that's as near as it gets to being pivotal. United were the better side in the opening twenty minutes and Latapy was getting the better of a nervous Hearts side, but chances were few and far between for both sides in the early stages. Hearts began to take charge in the latter stages of the half with Valois, De Vries and Severin all trying their luck at goal before United took the lead through a beautifully executed Griffin free-kick.